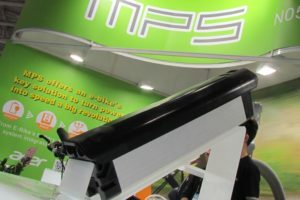 AMSTERDAM, the Netherlands – The e-bike boom in the Netherlands is often regarded as an outlook for other countries. By the end of this year the total fleet of e-bikes in the Netherlands will amount one million units. A milestone. People ride more kilometers on an e-bike than on standard bicycles. Some 5% of all bicycles in the Netherlands is an e-bike today. According to Fietsberaad it won’t be long before the this percentage will rise to 20% and the e-bike ownership will be equally divided among younger people. 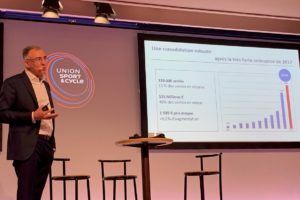 “It is striking to see that people ride more kilometers on an e-bike than on standard bicycles. 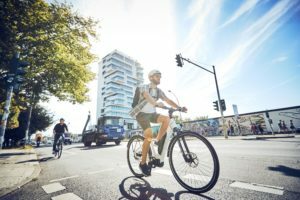 The difference is more than ten kilometers a week on the average.” People up to 46 years old ride 31.3 kilometers with an e-bike a week compared to 20.7 on a bicycle without support. In the 46 – 60 category the same comparison shows respectively 30.9 and 17.3 kilometers. The category over 65 years rides the most with 31.4 kilometers per week, while those on a regular bike ride just 15 kilometers. 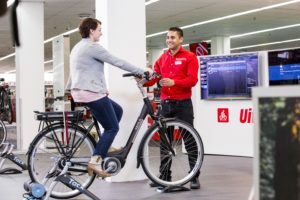 The latest statistics of the Dutch market researcher GfK Retail and Technology Benelux, indicate that the e-bike sale is still growing in the Netherlands. 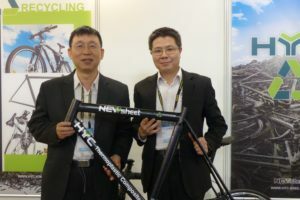 While the total bicycle market is in a depressed mood, the number of e-bikes sold last September increased by 5% compared with September 2011. The average price declined by 6%.